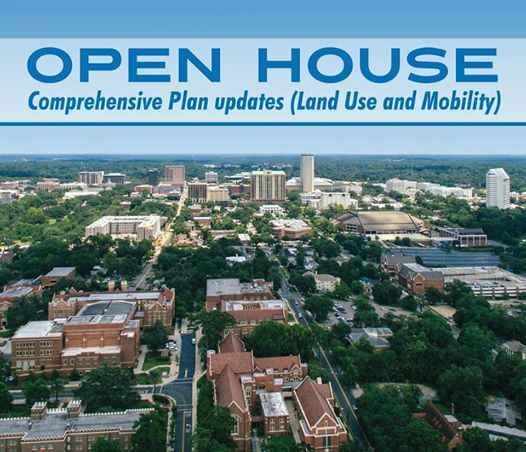 The City of Tallahassee and Leon County are hosting a series of meetings to gain input from the community about the Land Use and Mobility elements of the Tallahassee-Leon County Comprehensive Plan, which provides the blueprint for growth and development. 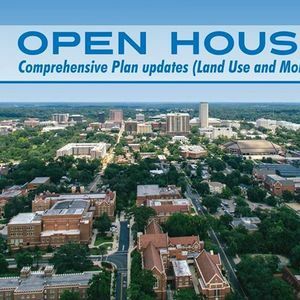 At these meetings, residents can talk to staff and provide feedback on the major takeaways of the Comp Plan update’s proposed Goals and Objectives. Planning staff will use feedback gathered through the open houses to refine and revise the proposed objectives. Staff will then take the revised objectives to the City and County Commissions for further consideration later this year. For more information, including a full list of meeting dates and a digital survey, please visit Talgov.com/LandUseUpdate ( https://bit.ly/2u5eGDz).